What does it mean to be "gifted"? What's good--and not so good--about being identified as gifted? How can parents make sure their gifted children get the learning opportunities they need? How can parents cope with the unique challenges gifted kids present? Every parent of a gifted child has questions like these. Since 1991 when we published the original edition of this guide, parents have looked here for answers. Now revised and updated with information about current research and legislation, new examples, new resources (including Web sites), and more, it's the first place to turn for facts, insights, strategies, and sound advice. You'll learn what giftedness is (and isn't), what makes gifted kids so special, how kids are identified as gifted, and why some kids fall through the cracks during the identification process. You'll discover encouraging, practical tips for living with your gifted child--and handling the endless questions, high energy, and too-smart mouth that often go along with giftedness. You'll find out how to keep from raising a "nerd," how to prevent perfectionism, and when to get help. And you'll learn how to advocate for your child's education at school and in your state. 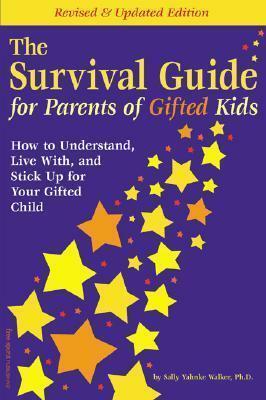 "The Survival Guide for Parents of Gifted Kids" is for any parent who has ever wondered, "Now what?"